Thank you for visiting the Charles Studio schools website! Complimentary 5x7 class photograph for each teacher and one for the school 100% satisfaction guarantee - your money back if you aren't completely satisfied Prompt delivery of orders in two to three weeks Delivery of class and individual photographs in digital format for use by the school Samples of our products are listed below. Don't see what you are looking for? Let us know! We continually research new products to make sure we are offering the most up to date items. We offer a variety of backgrounds and can photograph students in a natural classroom setting or in front of a portrait background. Please email Schools@CharlesStudio.com with questions or suggestions. One 3.5" x 5" individual photograph, one 5x7 Class photograph, and a thin cardboard memory mate mount for displaying the photographs. Includes 2 wallet individuals. The design of the memory mate mount may vary. 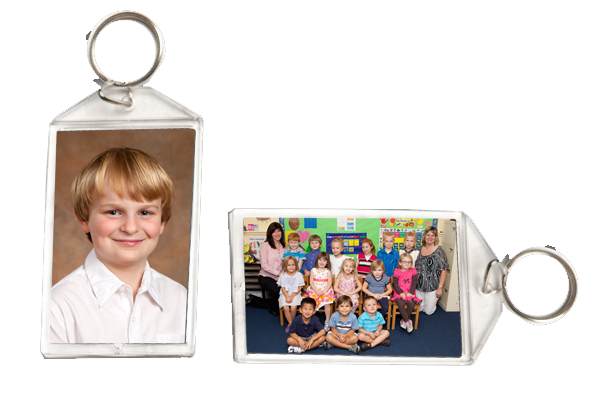 The keychains are clear plastic and approximately 2" x 3". 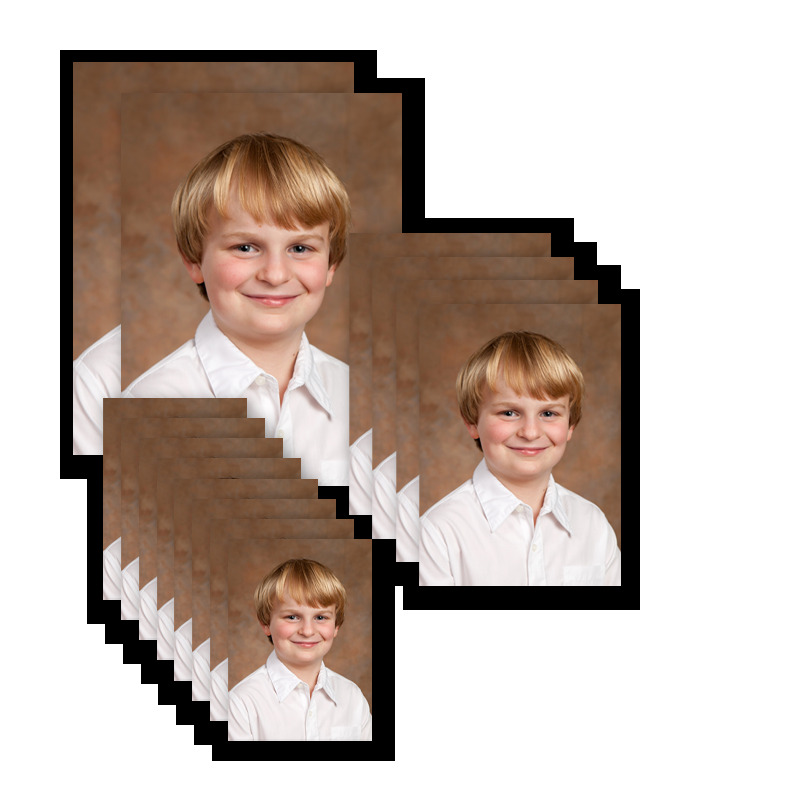 An individual photograph is displayed on one side and the Class photograph is displayed on the other. The magnets are approximately 2.5" x 3.5" and are customized with the school information and student's name. Fun Pack includes 2 rulers, 2 bookmarks, 3 bag tags, and 6 key fobs. The graphics of the fun pack design will vary.